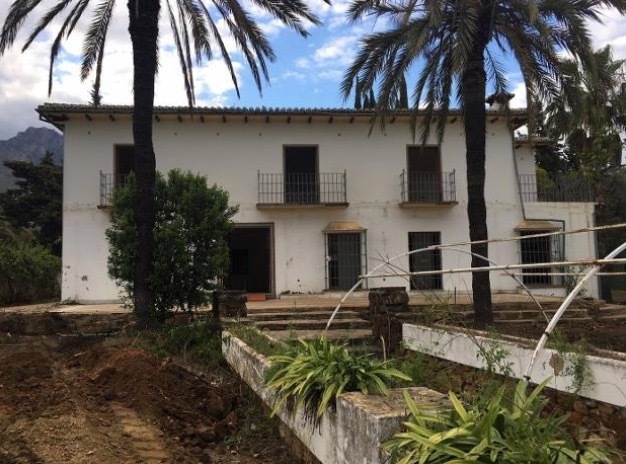 After an initial investment of 1,100,000 € by under Global Gift Foundation, the undergoing works and renovation of the first Casa Global Gift in the world are about to end if there are no last-minute setbacks in the last quarter of the year 2018. 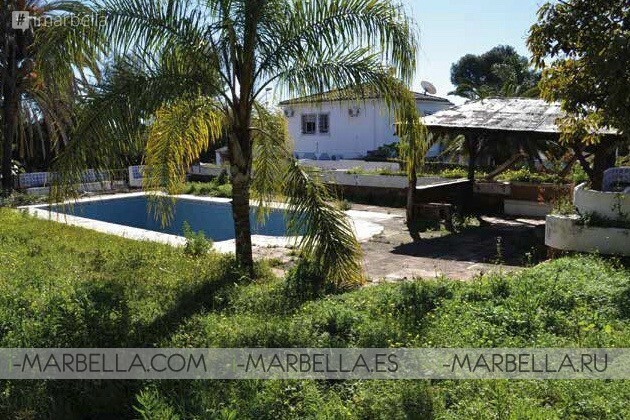 The facilities are planned to be located in a municipal building known as Casa La Panocha a Golden Mile, in Marbella. Casa Global Gift will be a multi-functional center in the heart of Marbella. With the help of Marbella’s Ayuntamiento (town hall), the foundation has secured a suitable space that will be converted into a place where children with rare and chronic diseases can be treated. Global Gift House is foreseen as a space where people with disabilities or rare diseases receive free therapy in the Costa del Sol area. Construction workers are already working on the aesthetic reconstruction of the center that will be able to open its doors, if there are no last-minute setbacks, in the last quarter of the year 2018. The founder María Bravo is responsible for the center where 300 users will receive free therapy, where the vast majority of whom are children. This new project is planned to give assistance to 300 users, where 90 percent are children that come from five associations that do not currently have headquarters. Specifically, this new multifunctional center, Casa Global Gift will provide assistance to users of Adahimar associations (hyperactivity and/or learning disability or maturational delay); Bubbles and Dreams (rare diseases); Cadi (cerebral palsy, Down syndrome, autism, spina bifida, intellectual disability, maturational delay, crystal bones); Adisol (diabetes); and Cystic Fibrosis. Global Gift Foundation president, María Bravo, confirmed to SUR, this new project is not only for these five associations but more like an open door "for those who need it, be it an association or person who needs therapies and can not afford them". The list of therapies in which the Casa Global Gift kicks off is basic and will eventually spread according to the needs that arise. To name a few: physiotherapy, sensory integration therapy, hydrotherapy, speech therapy, psychological therapy, cooking therapy and cognitive training are all part of the initial list offered by the center through different therapists. Top celebrities such as Luis Fonsi, Chenoa or Gary Dourdan joined Maria Bravo and her team to check out Casa Global Gift progress of undergoing renovations and works in late July. The facilities will also be equipped with a multipurpose room for guided activities by professionals (crafts, didactic games, reading workshops, music therapy), a cystic fibrosis unit, a garden and parks where leisure and free time monitors will guide users. Precisely, the part of the employees will be one of the most peculiar because, according to Maria, although there will be volunteers, "there is a fairly extensive list of professionals" who will work in the house with a contract, so the monthly maintenance of the center, including salaries, will be another challenge to be solved. "We have been collecting money for the launching of the Casa Global Gift for four years, since the Council confirmed the transfer of immovable property, thanks to the galas we make around the world. Now we will continue doing it for the maintenance of the center, although my intention is that the community gets involved, "explains Bravo, who calls out for companies in the area to become honorary partners and collaborate eventually''. Located in the orchard area La Panocha, in the beachfront of Guadalpin, at the road of La Virginia, whose value according to a report of the Heritage area, is 1,750,000 euros Last year, the City Council green-handed the free donation of space to the Global Gift Foundation for 30 years. The Hacienda, which was abandoned, surrendered in the rough to the foundation that is leading and paying up to the last cent of the reform of the house that had been looted to take away from the copper to the toilets. For the rehabilitation and provision of the property, especially for the purchase of pioneer machinery in Spain, backed by the results that are obtaining in other countries, has been counted on the financial collaboration of anonymous fortunes. Casa Global Gift will add great value to the city of Marbella, improving work and family reconciliation and giving these children the possibility of a global care intervention system. It will centralize therapies into one place, avoiding unnecessary expenditure of time and money involved in traveling from one place to another – not forgetting the fatigue and overload experienced by the children and their families.